I thought I’d just slip in a quick favourites video before I start on the Christmas Gift Guides; this month I’ve focused on skincare because my skin has been so up and down! Flaky red patches, a few mammoth spots that could only be described accurately as boils and a weird oiliness on my nose that has been more of a “waxy sheen” than the usual mild grease. So, a whole plethora of skin complaints to test my products on and I’ve been keeping a keen eye out for the results. 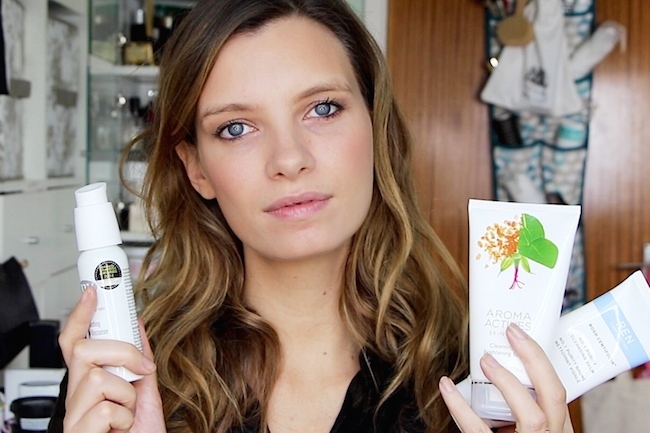 In the video you can see my roundup of the products that impressed – and a couple that didn’t. It wasn’t that I had any particular gripes with the ones that failed to impress, they just didn’t blow my socks off. 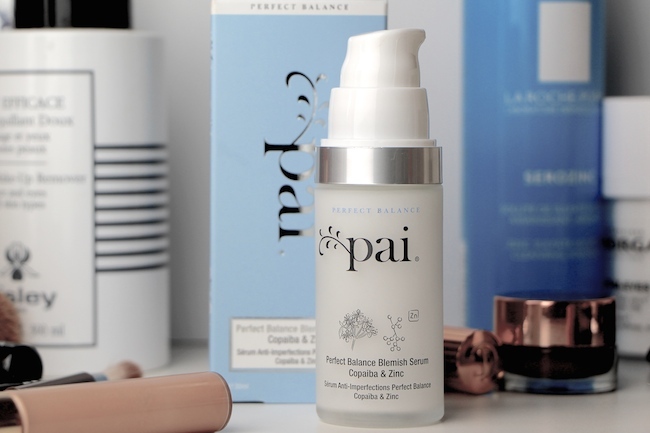 Special mention must go to the Copaiba & Zinc Perfect Balance Blemish Serum from Pai Skincare: lots of you have asked me to try it out and report back and I can confirm that it’s a good one. Very gentle, but surprisingly effective, it really helps to balance blemish-prone skin without any kind of aggressiveness whatsoever. It actually feels more like applying a soothing lotion for very sensitive skin; there’s no tea-tree tingle or astringent face-tightening and skin is left slightly matte with no stickiness or weird residue. Obviously the intention is that you follow the serum with some kind of hydrator, but it’s actually comfortable enough to wear without, which is a lovely indication of just how gentle the Copaiba & Zinc serum is. It won’t be the first option for teens, at £42, but for those who can afford to invest a little it’s a great solution for angsty, angry skin that needs to be treated with kid gloves. Find it online here. Take a look at the Skincare Favourites video to see what else I’ve been impressed with, including an antioxidant serum and a very quick and to-the-point spot-reducer. You can find links to all of the products below the video pane – you’ll notice that I’ve reverted to the traditional video post format as the “new fangled” way that I tested out was a big old failure for those reading via email. Makeup: By Terry Densiliss Foundation in shade 7, Clarins face palette (2012! ), Sunday Riley shadow in Godiva, Givenchy Noir Couture Mascara. Previous Post Sunday Tittle Tattle: Naughty Pets, Apple Laces and Jess from Homeland. Next Post Giveaway: 50 Lanolips Lemonaid Lip Balms!